On Friday, South Korea's National Assembly will meet with advocates for and against the country's “three strikes” law that restricts the online activities of Internet users who violate copyright regulations. On March 24, 2013, Mr. Choi Jae-Cheon, a member of the Culture, Broadcasting, and Tourism Standing Committee of the Korean National Assembly, along with other twelve other sponsors, announced his proposal to repeal this provision of the law, which has been in force since 2009. 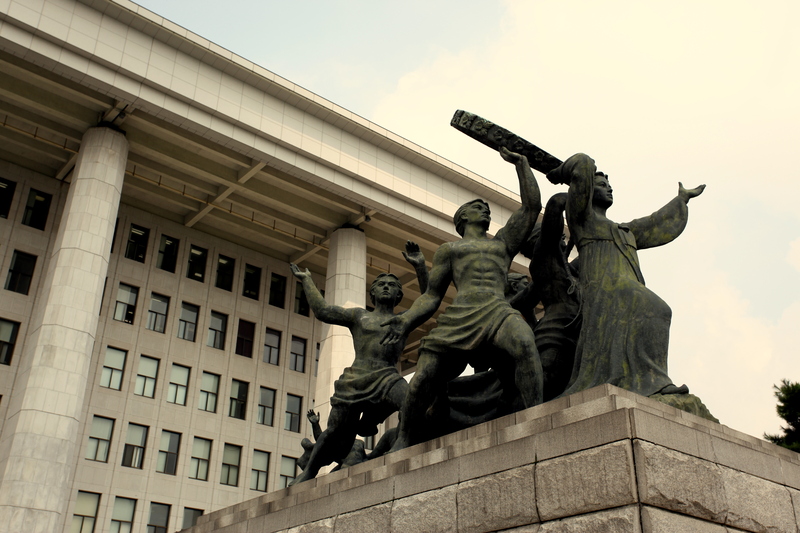 According to an official press release [ko], the South Korean government introduced the three-strikes copyright control regime in July of 2009. Originally nicknamed the “netizen-killing law,” the legislation stipulates that if an Internet user violates copyright law online, he or she will receive up to three warnings from the Ministry of Culture, Sports, and Tourism (hereafter “MCST”), which is responsible for media content policy in South Korea. If the user's behavior does not change after three warnings have been issued, authorities can disable the person's web service account or shut down the bulletin board he or she used by administrative order. This legal procedure is different from the three-strikes copyright regulation in France known as the HADOPI law. (France and New Zealand have adopted three-strikes copyright regulations; the United States has a somewhat similar six-strikes guideline.) In France, a person's Internet access cannot be blocked until his or her case has been reviewed and approved by a judge. But in South Korea, the executive branch is the sole enforcer of the regulation, making the process less transparent and more vulnerable to arbitrary decision-making. Since the law was enacted, the Korean government has sent 468,446 takedown notices to users and shut down 408 website accounts. The law has affected far more users than it was originally intended to — it was passed with the goal of targeting users engaging in massive amounts of illegal downloading, estimated at about 1,000 users. But in fact, according to Mr. Choi's investigation based on his team's collected data from MCST, among 380 users whose accounts have been shut down, 174 of them inflicted damages of less than US$.90. Mr. Choi argues that their punishment, which constrains their right of access to information, is much harsher than the cost they incurred. Therefore, the law not only violates legal due process — it is also inefficient from an economic perspective, and it imposes a punishment that is disproportionate to the crime. 삼진아웃제 시행 3년이 지난 지금 정부의 주장과 달리 삼진아웃제의 규제 대상은 헤비업로더가 아니라 일반 이용자들임이 드러났습니다. 삼진아웃제 때문에 행정부로부터 경고를 받거나 실제로 계정정지를 당한 이용자 계정은 무려 47만 개나 됩니다. 2009년 당시 천 명에 불과하던 헤비 업로더가 3년만에 갑자기 급증하였기 때문일까요? 아닙니다. 실제로 계정정지까지 당한 이용자들 중 저작권 침해물을 전문적으로 유통한 사람은 거의 없습니다. 어떤 이용자는 침해액이 고작 9천원에 불과한데도 계정정지를 당했습니다. (…) 삼진아웃제를 어떻게 헤비 업로더 규제 제도라 할 수 있을까요? Three-strikes law has been in force for the past three years. But it is already apparent that the government targeted not the heavy illegal down-loaders, but lay users. About 470,000 website accounts were warned by the government under the three-strikes law. In 2009, the government analyzed that number as only 1,000. Are we to believe that it has exponentially increased in the past couple of years? No way. Among users whose accounts have been shut down, there were none who traded copyrighted materials for commercial benefits. Some users were punished even though the amount of their indemnity was marginal, at US$0.9. How then we can call the three-strikes law a regulation targeted at heavy down-loaders? This and other Internet-related policies have brought together professors and activists who are forming new non-profit organizations focused on Internet rights. This emerging public coalition shows a promising sign of a new counter-force against state-guided Internet and communication policy making processes in South Korea.